Run Geordie Run now on Twitter. 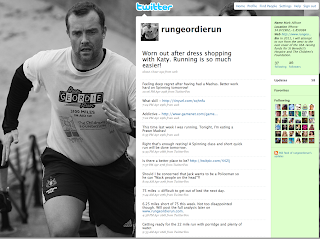 As if www.rungeordierun.com and the Run Geordie Run Facebook group weren't enough to keep you informed about all the goings on with the USA 2011 run, I now have a Twitter account. It's early days with Twitter and I'm still trying to find my way around it, but I'm sure it will come in useful as I attempt to spread the word about the run in 2011. So if you are a Twitter user and wish to keep up to date with news of my training and fundraising then why not follow me. My user id is RUNGEORDIERUN. A tweak to the schedule. Last Sunday saw me run from Castleside to the 1750 ft summit 6 miles south of Stanhope on the B6278. The picture to the right was taken at the 9 mile point on the run. The road in the foreground takes you to Crawleyside Bank and into Stanhope. If you look carefully, you'll be able to make out the road out of Stanhope. Further in the distance to the left is the summit. I spent almost the entire 03:21:53 of this run questioning my training schedule and tactics. At least it made the time go quicker! I was cursing the fact that I had put in a couple of PB's last week and the effect of these was possibly evident as I climbed up to the summit. I think the real reason for the difficulty of this run was not the quick runs during the week. It wasn't the fact that I'd already ran 53 miles or that this course has 1453 ft of climbs and 1371 ft of descents. No, I think it was down to the strength of the relentless head wind. Apart from 10 minutes shelter in Stanhope I suffered a right old battering from the wind. This made an already difficult run even more so! The extra effort needed just to keep the pace at a reasonable level was considerably more than I'm used to at this distance. I couldn't help thinking that it was a pity that I had saved the most difficult run until the end of the week when I had already run over 50 miles. I was far from fresh! Mind you, it won't do me any harm to tackle such a course as this with tired legs. Indeed, one of the principals of my training schedule is learning to run with little rest or recovery. Given that I work full time and have school run duties, I don't think I'll get the chance to do a course like this during the week when I'm not as tired. It would be nice to have that option once in a while. So guess what! I'm going to tweak my training schedule ever so slightly to give me the option of doing a longer run with fresh legs on a weekend. To allow me to do this, my training week will now start on a Sunday! The first one being this Sunday! Next week's running target is 80 miles. I'm taking it easy this week with a few Spinning classes in the gym and some short runs just to keep me ticking over. It's hard to believe that I've now been training for 6 months. Where has the time gone? There are 24 months of training left and a few thousand miles to run before I set off across the USA. Here's to the next 6 months. May they be as injury free as the first 6! Well I did it! 75 miles in 7 days. I must admit that I was ready to call it a day after today's 15.75 mile effort in the Pennines. The conditions were almost too tough for words. That south westerly wind was relentless and made the climb to 1750 ft very tough. I had to put extra effort in for the distance, the wind AND the elevation today. As I said, I was ready to call it a day after today's first run but I managed a follow up 6.25 mile session on the treadmill to just about crawl over this week's finish line. I've learned a few lessons this week. I'll get round to writing about it when I muster the energy next week. Monday 20th April - 6 mile run, Jesmond Dene. (00:51:48). PB! Tuesday 21st April - 5 mile run, Treadmill. (0039:54). Tuesday 21st April - 10.5 mile run, Havannah and Race Course. (01:36:37). Wednesday 22nd April - 5 mile run, Gosforth Tour. (00:45:51). Wednesday 22nd April - 4 mile run, Treadmill. (00:33:28). Thursday 23rd April - 5 mile run, Treadmill. (00:38:39). PB! Friday 24th April - 5 mile run, Race Course. (00:44:04). Friday 24th April - 5 mile run, Treadmill. (00:46:04). Saturday 21st March - 6 x run up the steps. Saturday 21st March - 7.5 miles, Treadmill. (01:26:00). Sunday 22nd March - 15.75 mile run, Castleside to 1750ft summit. (03:21:53). Sunday 22nd March - 6.25 mile run, Treadmill. (01:14:30). Slow down or suffer the consequences on Sunday! (Or will I?). I managed yet another PB today on the treadmill with a time of 00:38:39 for 5 miles. I constantly find that I'm in personal conflict with regard to the pace I'm running. Part of me just says "Go for it! Run as fast as you can and enjoy this new found speed after years of running at a 10 minute mile pace". This approach is great every now and again (I think) and doesn't half boost the morale. I mustn't forget that I've got 75 miles to get through this week finishing with the toughest 22 miles of the campaign so far on Sunday. The graph to the left shows the elevation profile of the route from Castleside to Middleton. I bet I'm cursing this week's 3 PB's (so far!!!) by the time I get to the 1750 ft summit at the 16 mile point. Or maybe not! We will see. Today though, I'm going to enjoy the feeling of having run 5 flat miles on a treadmill at an average of 00:07:44 per mile. There's plenty more where that came from! There is so much scope for improvement once I lose more weight and build further this power and stamina. As you can probably tell, I'm not showing a lot of discipline and control in my running this week or recently for that matter. Perhaps the best thing that can happen would be to have a very tough time of it on Sunday's run. That'll teach me! Or perhaps I will come out of that run having set another PB and full of confidence. Either way, it's nice to be writing such positive things, I guess. 3 weeks ago I lost the will to run and fell just short of 75 miles. There's no chance of that happening this week. Confidence is high, spirit is totally Gung Ho and failure is nowhere close to being an option. I've made a good solid start to training in week 25 with a mixture of pace, terrain and elevation. The week got off to a flyer with a PB of 00:51:48 for the hilly 6 mile route through Jesmond Dene. Patrick Aynsley-Smythe and Colin Moore set the pace (slow for them!) which ensured that I beat my previous best by 2 minutes. I followed this quick one up on Tuesday morning with a PB for 5 flat miles on the treadmill (00:39:54). 3 hours later and I was running with another speed merchant - Mark Cass who had shown good form at the Redcar Half Marathon on Sunday with a time of 1 hour 27 minutes. Mark and I managed the combined Havannah/Race Course route in 01:36:37. I managed 5 miles at lunchtime today with a route around Gosforth that I doubt I could find again such was it's random nature. I couldn't face doing the same old Race Course route so I simply decided to explore roads and streets that I hadn't ran on for a while or indeed had never ran on. This course included 2 laps around 6 football pitches and I was quite pleased with the fact that it was exactly 5 miles when I reached the end. It makes the maths easier for the week! My running wasn't over for the day and I used my new treadmill for the first time in anger with a quick 4 miles (00:33:28) tonight. The only problem with this was that the treadmill is in the garage and all I had to stare at was the wall! I've got a few ideas as to what to put on that wall to keep me focussed. I think my old posters of Maria Whitaker and Kathy Lloyd are in the garage somewhere. I'll have to dig them out! I'm now left with 5 short runs, Beach Bootcamp and a steps session over the next 3 days. I don't want the runs to be too fast as I've got arguably my most difficult run of this campaign to get through on Sunday. I'll be re-acquainting myself with the gruelling 22 mile Pennine Challenge route from Castleside to Middleton-in-Teesdale. This will be the first of many runs in this area as I look to further build my strength, power and endurance. There are only 10 weeks left before I undertake the Chevvy Chase run in the Cheviot hills. Hills, hills and more hills will be on the menu more often than not for me between now and then. Nice! 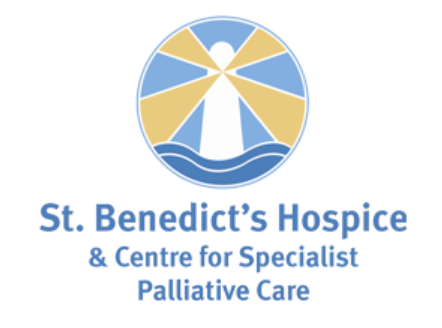 Tuesday 14th April - Spinning. (00:45:00). Wednesday 15th April - Spinning. (00:45:00). Thursday 16th April - Personal Training Session. (01:30:00). Saturday 18th April - Beach Bootcamp. (00:45:00). Saturday 18th April - 12 x run up the steps. (00:41:23). An important few weeks ahead. Before I departed for Egypt I mentioned that there were an important few weeks ahead in the USA 2011 training schedule. I came through last week with flying colours and with plenty of food for thought. This week sees the return to a gym week where I'll be doing a mixture of weights, general cardio and spinning classes. After a 3 week absence, I'm also looking forward to a return to Beach Bootcamp this Saturday and the steps afterwards. Oh how I've missed the steps! Next week is absolutely crucial in the schedule. It will be my second attempt at running 75 training miles in a week. I fell short of the full 75 by only 3.6 miles in week 20. I'll be looking to do the full lot next week with no shortcomings whatsoever! After the experiences in Egypt and the thought I've been giving the USA 2011 run recently, I'm absolutely confident that my training schedule is going to be fit for the purpose. I reckon I've got about 1900 miles left to run this year and about 3500 next year. To help me get all of the mileage done I've managed, with the help of David Fairlamb, to get a commercial quality treadmill. It will be arriving towards the end of the week and will sit nicely in one half of the garage. It's slowly turning into a little gym in there and before long I'll be charging the local residents to train! Away from running, I've started to think about how I can put together the USA 2011 road side support team. With just over 2 years left before the big run, the time is almost right to seek help on this front. Ideally, I'll have 1 team that will stay with me from start to finish. I doubt very much that I'll get that stability in the team. Hopefully, there will be no more than, say, 3 changeovers during the tour. Watch this space soon for further news. In the meantime, do you know anyone with the right kind of driving experience, who is not banned from entering the USA and who would be willing to form part of the support team? If so, please get in touch at sponsorship@rungeordierun.com. Monday 6th April - 5 miles, Nabq Bay, Egypt. (00:46:09). Tuesday 7th April - 11.5 miles, Nabq Bay, Egypt. (01:55:25). Wednesday 8th April - 6 miles, Nabq Bay, Egypt. (00:56:28). Thursday 9th April - 6 miles, Nabq Bay, Egypt. (00:57:07). Friday 10th April - 7 miles, Nabq Bay, Egypt. (01:01:10). Saturday 11th April - 11.5 miles, Nabq Bay, Egypt. (01:57:47). It was absolutely scorchio at midday today when I set off from the hotel on the final run of the week. As soon as I felt the strength of the sun beating down, I immediately put all thoughts of trying to beat Tuesday's time for this 11.5 mile run at the back of my mind. For me, getting safely round in under 2 hours would be an achievement. And get round in under 2 hours I did with a final time of 01:57:47. The first 6 miles were quite slow at 01:03:02. It wasn't until I was quite happy that I'd manage to get round with the small amount of water I was carrying that I increased the pace. And even then, only slightly! The last half a mile was done with Local Hero on the iPod at an 00:08:36 pace. I raised a clenched fist when I got to the hotel in 1 piece and headed straight to the bar for a few litres of water! And then some more! That brings this week's training in Egypt to a successful close with 50 miles in the bag. That's the mileage I was after and that's what I achieved. I'm very pleased indeed with that. I've learned a lot this week and will be reflecting on it all when I return to the UK next week. There is a lot of research to be done to back it all up and I hope to learn a lot more on the back of this week's experiences in the desert. Thankfully, next week is a gym week and I will be doing a few classes as well as some strength work on my legs. There is also a tough gym session with Mark Fleming to get through. I'll be having another crack at 75 miles the following week with a variety of speed and distance. If that's successful then the USA 2011 training schedule can be considered as being well on track. This week has given me a taster of the conditions I'll be experiencing in the early stages of the USA 2011 run in California and Nevada. I've had a bit of a shock, to be honest, at how tough running in the desert is. Now to think that I've got to run 31 miles, day after day is all of a sudden a very sobering thought. I've got a feeling that I'll be returning to the UK with a different attitude to running and moreover the gargantuan task that lies ahead. Goodbye from Egypt! A quick one in the desert. I said yesterday that I was looking for an average pace of at least 00:09:00 per mile on today's 7 mile midday run. With that in mind, I threw caution to the wind and set off at a quick pace in scorching conditions. Thankfully, there was no sign of the easterly wind that slowed me down on the return leg yesterday but it did seem quite a bit hotter. I managed to keep the pace between 00:08:20 and 00:08:32 for the first couple of miles. It seemed to get hotter during the next 3 miles and I took my foot off the pedal slightly, aiming for desired 00:09:00 per mile. That's 38.5 miles done in the last 6 days leaving tomorrow's potentially tricky 11.5 mile run to get through. I'll be ever so pleased if I reach the target of 50 miles. Tomorrow is not going to be easy by any means. The weather does not look good for running with a high of 29 degrees forecast. Just getting round in 1 piece will be an achievement for me. A sensible pace will be the order of the day. I must admit, though, that I will have my mind on beating my previous time for this run which was 01:55:25. It would be nice to finish another week in some style. At least I seem to have stopped getting that awful ache in my quadricep muscles. The secret there is to have a nice dip in the pool right after I finish running. I could get used to that! Prepared for the sun, caught by the wind! I must admit that I was quite nervous before today's 6 mile run into the desert. I'm always wary of venturing into the unknown, especially where the temperature is in the high 20's and there is absolutely no cloud cover to speak of. I set off at exactly midday armed only with 0.5 litres of water, my GPS watch and my iPod. The sun was beating furiously down and I was thankful to be caked in factor 50. I wore my usual long sleeve Brooks base layer below my Run Geordie Run T-Shirt. That kit might sound too warm to wear in these conditions but for some reason it is really comfortable. The sweat is immediately transferred to the outer layer and friction is minimised as a result. When Brooks Sports gave me the first batch of kit I didn't think I'd wear the base layer clothing that often. It has served me very well so far in extreme heat as well as extreme cold. I'll be looking into the reasons why it gives such comfort when I return to the UK. I've got a growing list of things that have occured while running over here in Egypt. I've got a lot of questions that need answering from a technical or scientific point of view. The better educated and informed I become over the next couple of years, the better placed I will be to make the correct decisions in the USA in 2011. The first 3 miles away from the hotel weren't half as bad as I'd feared. It was hot, yes, but my body seemed to cope with that aspect admirably. Still, I wasn't prepared to veer too far away from a 00:09:30 per mile pace. Today was about finding my feet in the hot midday sun, not about taking risks or going too fast. The return leg back to the hotel wasn't half as comfortable as the outward journey. The winds were gusting from the desert plains and I was caught right in the middle of it. Miles 4 and 5 were very slow indeed. I even struggled to raise my arms to wave back to the guys in the Police Checkpoint such was the wind speed. It was only during the last mile that I managed a bit of pace to bring the average time back down to the planned 00:09:30 per mile. The whole 6 mile run took 00:57:07 to complete. Given my cautious approach, I've got to be reasonably pleased with that. Tomorrow's midday run is going to be 7 miles long. Despite the forecast saying it's going to get warmer, I'm going to be looking for an average of at least 00:09:00 per mile. This will be my final chance to get some speed in this week. The following day is going to be even warmer at 30 degrees. That's hardly the kind of temperature I want to run 11.5 unassisted miles in. I'll be taking 1.5 litres of water with me on that one! Monday 30th March - Personal Training Session. (01:30:00). Wednesday 1st April - Spinning. (00:45:00). Sunday 5th April - 3 mile run. (00:27:46). I said this morning that things would start to get trickier after today's 6 mile run. Well they have begun to already with some soreness in my quad muscles, probably as a result of yesterday's 11.5 mile run. I've ran many miles during this current training campaign having rarely suffered any aches or pains. When they do occur, I tend to notice them straight away. Once I get back to the UK I'll be doing a bit of research in an attempt to find out why it has happened. It'll have something to do with the 28 degree heat and loss of electrolytes perhaps. It'll be good to expand my knowledge on the subject. Other than my aching quads, tonight's 6 mile run was a formality. I'm getting used to the little out and back route around Nabq Bay and the armed guys at the Police checkpoint no longer stop me and just wave me through. I even got a thumbs up from some of them today which is a lot more encouraging than 2 days ago when they all started shouting at me. They must have thought I was up to no good but as soon as I explained my intentions to the English speaking Policeman everyone calmed down and I was allowed to proceed with my run. The final time for this afternoon's 6 mile run was 00:56:28 with mile 6 being clocked at 00:08:27. That's it for the late afternoon runs now with 3 midday runs planned between now and Saturday. I think I'll try the same 6 mile route tomorrow, 7 miles the following day and the 11.5 mile route again on Saturday. By my calculations that'll give me 50 miles for the week. It's not going to be easy though. Far from it. In fact the next 3 runs will be the most difficult I've done during 23 weeks of training. I'll keep you posted! To add to the 3 miles on Sunday (00:27:46) I managed a quickish 5 miler on Monday (00:46:09) and a steady 11.5 miles on Tuesday (01:55:25). The 5 mile run was a formality as I've now become quite used to running in this heat. The 11.5 mile run should have originally just been 6 miles out and back from the hotel. I felt really strong, however, and managed to do a big loop around the hotel. I wasn't quite sure how far the actual run would be so armed with just 0.5 litres of water I took no risks and kept the pace at a very consistent 10 minute miles. In 2009, this is my "could run forever" pace. This kind of pace was around 12 minute miles in the lead up to the last big run from John O'Groats to Lands End. The 11.5 mile run presented few problems and I was just relieved not to get lost! Thankfully, my sense of direction is one of my strong points. The only minor issue was the wind blowing from the east as I headed on the long desert road back to the hotel. It had caused quite a stinging sensation in my face. It soon went after a good wash! It's another scorcher here today and 6 miles is on the cards at around 17:00 local time. I'm well on target to reach 50 miles but it's time to make things a little trickier after today. For the rest of the week I'll be running when the sun is at it's highest point, at around midday. Let's see if I'm still in a confident mood after that! That's all for now folks. I'm off to the pool with Katy and Jack. Messing about in the water is a really good way of easing the aches in my leg muscles. Bye for now! What a very pleasant start to Sunday; 3 miles in the hot Egyptian sun. The conditions were absolutely baking hot despite setting off at 07:30. There seems to be plenty of scope for running around here with nice wide paths at the side of the road to use as a running track. My time today was 00:27:46. I'm pleased I've got the first run out of the way and with 50 miles to get in next week this has at least given me a bit of confidence. I'm off to play in the pool with Jack now. It's a hard life! It's 2 days into the Egyptian adventure and I'll be out for my first run of the holiday in the morning. I must admit that I've been quite surprised at just how hot it is out here. The lack of cloud also means you get the full on effect of that very warm sun. It will be even hotter when I run through the Mojave Desert in the USA in little over 2 years time. What a very daunting thought indeed! And it won't be just a run through the desert it will be a 30 odd mile run, day after day! Gulp! Just in case Mark and Dave are watching, the food over here has been excellent. Despite there being plenty of variety I've eaten a lot of pasta and salad so far. If I keep this up, I fully expect to return to the UK a bit lighter. Given the superb weather I'll also be returning a lot browner. I'll update the blog tomorrow with details of my first run. Ta ta for now.